The Retro Replay freezer cartridge from individual Computers holds 2 adjustable FlashROMs. You can choose for every reset which of the cartridge-ROMs you want to use. The MMC64 (SD/MMC card reader) and the Commodore Award winner Retro Replay (freezer module) were merged into one cartridge: the MMC Replay. The Final Replay by Oxyron is a new multifunction ROM for the Retro Replay. It brings you a cartridge similar to The Final Cartridge III in combination with some advantages of the Action Replay MK 6. Together with an RR-Net, the network functions NetDrive (network drive) and CodeNet (network server) can be used. 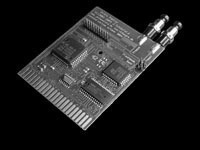 Retro Replay ROM v3.8q by Jockstrap is a special version of Cyberpunx Retro Replay cartridge ROM V3.8p, modified to support CodeNet. However, you have to patch your desired MAC address and IP number by hand with a hex editor. RR utility ROM by FMan is a utility ROM for the Retro Replay. It features the copy tools "File Copier" for single files, "Single Hack'em" for whole disksides and the disk monitor "Disk Files". FMEEPROMPP (short form for FMan's EEPROM Programming Program, aka FMan's RR thingie) by FMan enables you to flash your RR block-per-block, erase any block, erase full flash memory and flash new programs. It contains a friendly user interface. Custom ROM Builder tool by FMan. 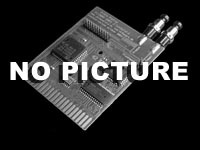 Now you can create your own Retro Replay ROMs. This Amiga/PC utility creates a flash-ready ROM image with a bootmenu from programs of your choice.